You may have spotted recent news stories of violence in and around Jos. In late September fighting came close to Grace & Light’s headquarters. Killings started just two kilometres away on Rukuba Road – our gatehouse is just off this road. Staff were unable to leave the office for part of Friday, 25 September, and then once they were able to leave, had long detours on the drive home. An added challenge was that they needed to reach home before the 6pm to 6am curfew. This changed to 10pm to 6am from 5 October as tensions calmed down. Faith Ezekial, our care and support officer, stayed with friends close to the office for a fortnight as the area around her home was too dangerous. She is grateful her house was undamaged and she has been able to return. Churches have been targets. 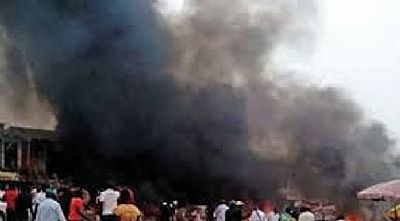 Kunga Baptist Church, which the Jos volunteer team visited in mid-September, was attacked during a Sunday service; the building was burnt down and three people killed. Another of the churches we have visited, ECWA in Nasarawa, was also attacked. The first time Jos faced insurgency was in September 2001, seventeen years ago. Since then there has been violence at least yearly in Jos and Plateau State, which had been considered one of the peaceful states in Nigeria. Violence increased noticeably in 2008. Though the military and police are now more active as a security force, the militants wear fake military uniforms, so people are unsure who to trust. Please pray for our staff and churches in Jos as they support victims of the fighting.